There’s a reason why ballerinas look so graceful when they’re on the stage — it’s because they’re well balanced. 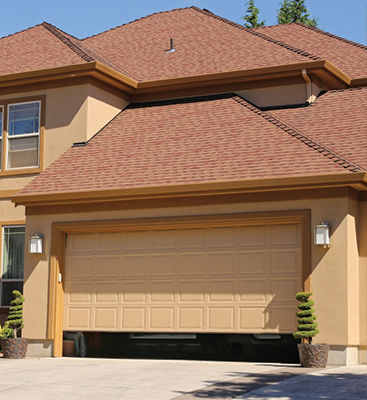 We can’t claim that your garage door, shuddering and lurching toward the top of the tracks will ever look “graceful,” but we can suggest that the appliance will last longer, thus limiting your overall collection of inconveniences you need to deal with on a week-to-week basis. 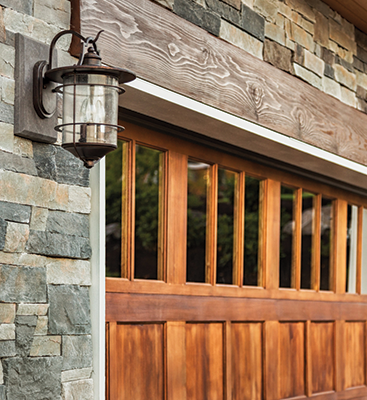 Garage doors are made to work flawlessly when they’re properly balanced. But their balance can easily be thrown off without regular maintenance. There are some at-home tricks you can utilize to explore the balance of your garage door and gauge whether you need to get it repaired or not. 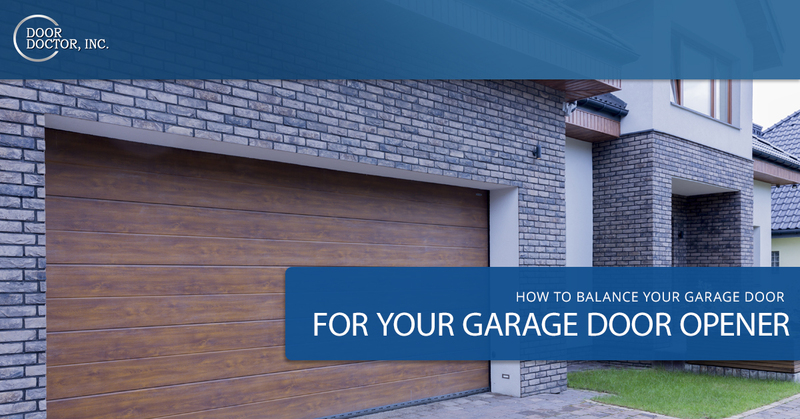 Let us be clear though, if you can see that your garage door is literally sitting wonky on its hinges as it traverses up and down on the tracks, it’s certainly unbalanced. If you can see it with the naked eye it definitely requires repair as it’s gone far past the usual repair standards at the at point. To perform the test, if the door looks level enough to your untrained eye, start by disconnecting the garage door from the garage door opener. Look at how well the door hangs on it’s own, if you still can’t see unevenness, run the door along its track a couple of times to make sure it pulls easily up and down. Obviously, you should check the tracks for other debris before doing this as that won’t allow the track to travel correctly for a different reason. Run the garage door about half way up and see if it hovers there. Once it’s in the middle by itself does it fall to the floor, slide upward, lean a little to one side or another? If there’s more than a bit of movement, the door is considered off balance. 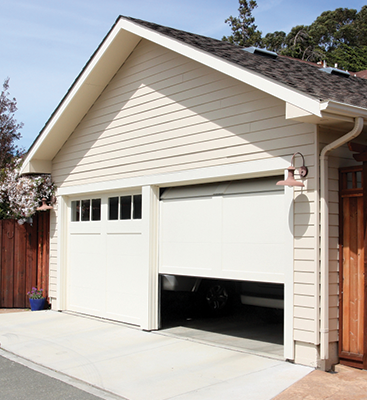 Mostly, garage doors become unbalanced because of their springs. Once the tension is lost in the springs it tends to droop. It becomes unbalanced, because most of the time the springs don’t lose their tension by the same degree on both sides. At times though, you can have over-balanced doors, which is essentially what happens when the spring is facing in the opposite direction. Once the tension springs are messed up, there’s not much you can do but replace them. This is crucial because if you don’t, the garage door opener could be pulling up to twice as much weight as it’s supposed to. This will, at the least, result in a failure of the garage door opener. The sort of failure that we can’t hope to just fix, we’ll likely have to find you a brand new replacement instead. If you have a garage door with an extension spring, you’ll need to take the tension off the door before you touch the spring. Open the door all the way, and prop it open with a ladder. Place a clamp on both sides of the track to keep the door in place and then start pulling off any safety cables around the springs before you start loosening them up. If the springs express quite a bit of give and are rather slack, it’s advices that you should replace both, even if it’s just one of the springs. It’s akin to replacing tires, as each side will wear unevenly otherwise. Once you’ve got the new springs in, test the door up and down adding and see if the springs need to be finer tuned or need small adjustments. You can make smaller adjustments using the S-hooks on the end of the pulley cables on both sides of your garage door. Move the S-hook up or down a notch to increase or decrease the tension. Extension springs are akin to level-one springs if torsion springs are level 25. Extension springs are much safer to tamper with than torsion springs are. Please note that if you attempt to alter a torsion spring on your own you may experience significant injury from a single wrong move. You’ll need to pay close attention to your work if you’re choosing to try your own hand at torsion spring repairs. As with an extension spring, you’ll begin by unhooking the door and testing it. Then close the door, you’ll be working with securely shut. Put a set of clamps (we recommend the C clamps) on the track right above the bottom set of rollers. This will keep the door from lifting while you adjust it, which is a crucial safety feature. Climb up and put yourself to the side of the spring you intend to adjust. Only use a set of winding bars and open ended wrench that is sized and set for the adjustment screws you’re working on. You’ll be responsible for holding the tension of the spring with one hand while you work with the other. You’ll need to place the winding bar ito the most vertical adjustment slot on the collar of the spring. You’ll hear the winding bar click into place and you’ll be able to start removing the screws with a wrench while you hold the winding bar. Note that you will feel a significant amount of tension as the screws come undone and you’ll need to hold that steady. If the garage door with a torsion spring won’t stay open, you’ll take your first winding bar that you’re holding the tension with and you’ll turn the bar to be a 90-degree angle with the garage door. Then return the screws into place now that it’s tightened properly. Only ever adjust a torsion spring at a quarter-turn at a time, since they’re super tight springs. Otherwise, they might snap and cause you serious injury, it’s better to adjust your doors tension slowly, rather than potentially harm yourself. If all that sounds like a lot of work for very little reward, we understand. We want to make sure you’re safe and getting the usage out of your garage and your garage door opener. So give us a call if you think your garage door opener is tugging up too much weight at once because the door is not balanced. We’d be happy to help you adjust it anytime as well as help you figure out any upgrades or other repairs you need for your Cape Coral garage. Reach out to Door Doctor today for more information.